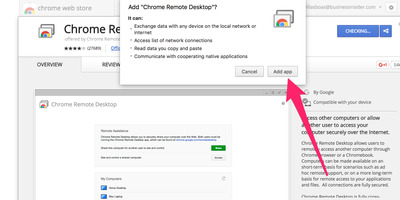 If you use the Chrome web browser, you can control your computer with your smartphone or tablet with Google’s Chrome Remote Desktop app from anywhere in the world. Not only that, you can control your mouse by swiping on the screen, and it’s incredibly easy to use. 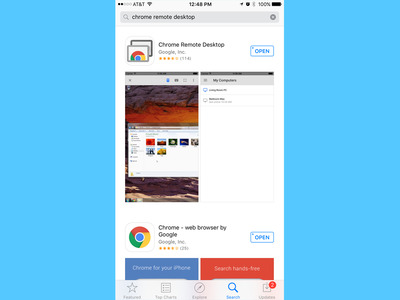 In fact, I’m writing this sentence right here on my iPhone using the Chrome Remote Desktop app. Check it out! It works over WiFi, as well as LTE, and I was surprised by how responsive it was. There wasn’t that much lag between the input on my iPhone and mouse movements/typing on my computer. 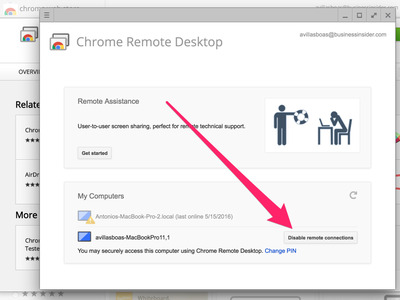 Unfortunately, it can’t wake your computer when it’s in sleep mode, and the Remote Desktop function can be temperamental at times and suddenly decide that it doesn’t want to work anymore. Still, it’s pretty cool and amazing that it’s as responsive as it is. Why would you want to do this? The real question is: Why wouldn’t you want to? There have been numerous times when I wish I could access my computer at home while I’m at work to download something so it’s ready when I get home. 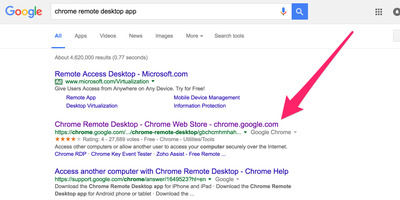 First, use Chrome to search for 'Chrome Remote Desktop app' in Google. 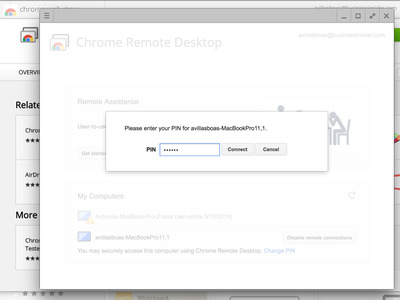 Then just click 'Add app' in the next popup window to confirm you do, indeed, want to add the app. 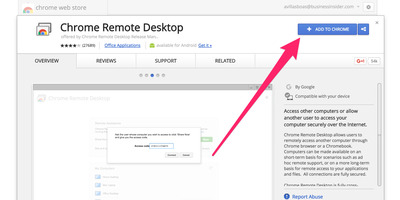 Then, a new Chrome tab will open showing you all your Google apps, including Chrome Remote Desktop. Click it. After that, click the bottom 'Get Started' button under the 'My Computers' box. And click the computer you want to control. 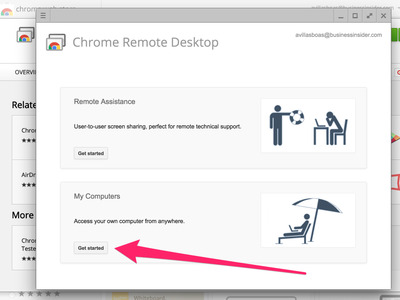 You might have enable remote connections on your computer, in which case you need to press the 'Enable remote connections' button and follow the instructions. It was easy on a Mac. 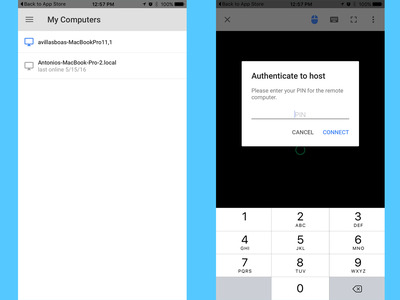 Then, you need to set up a pin so that no one else can pick up your phone and control your computer. 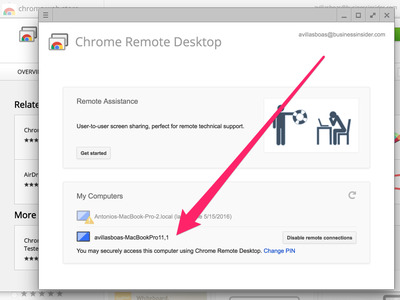 Now, install the Chrome Remote Desktop app for your Android or iOS device. 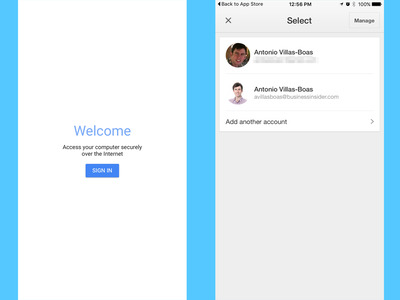 Open the app and sign in with the Google account you use to sync with Chrome. 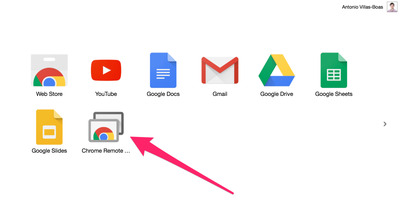 If you haven't synced with Chrome yet, go to Settings (three horizontal lines) on the top right of Chrome, then simply sign in with your Google account. Choose the computer you want to control, then type in the pin you created earlier. 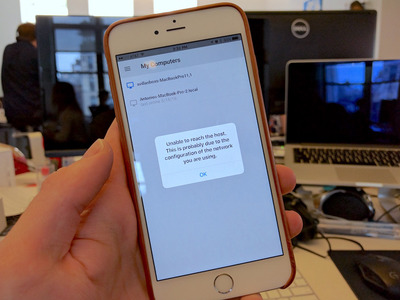 And just like that, you're controlling your computer from your mobile device. 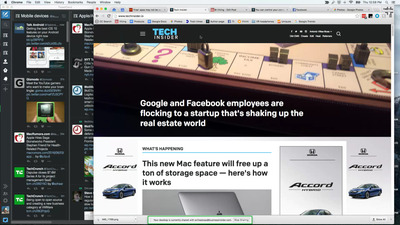 What you're seeing here is a screenshot of my iPhone screen while its streaming my computer screen. 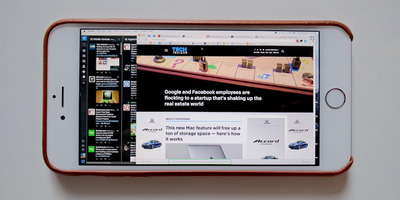 Here's my iPhone showing my computer screen. Like you saw above, I can use my computer just like if I was sitting in front of it. Unfortunately, it doesn't wake your computer if it's in sleep mode, which is a real bummer, as you wouldn't have to leave the computer you want to control on all the time. It's incredibly responsive. It's hard to see, but I'm moving the mouse with my thumb on my phone, and I'm opening a new tab, too. Unfortunately, it's not perfect, but it's still amazing how well it works when it does!